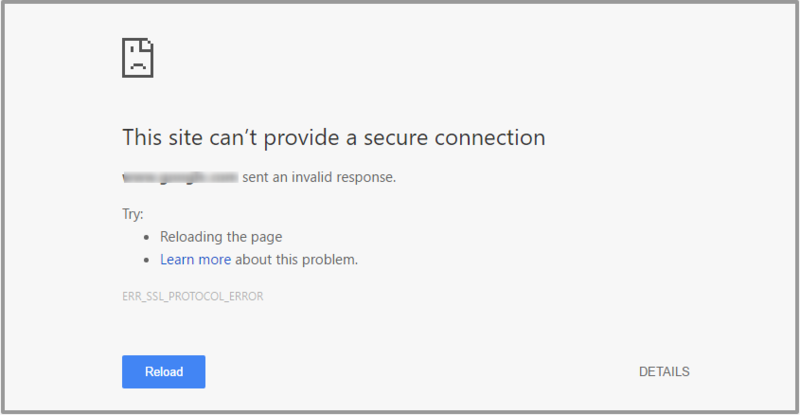 How to Fix ERR_SSL_PROTOCOL_ERROR for Google Chrome? We came across many errors or problems that we have to face sooner or later. These errors do not allow us to do something else in the site. Err_SSL_Protocol_Error is one of the most common errors faced by users while login to the WordPress site. When we are talking about the SSL related problem, then the Err_SSL_Protocol_Error is the most common problem. An SSL ( Secure Socket Layer) certificate is a piece of software which provides HTTPS Encryption. When you install SSL certificate, your site serving over HTTPS instead of unsecured HTTP. HTTPS connections are fully encrypted, that means the data transmitted between the website and its users are fully secure. It would be harder for hackers to eavesdrop on the connection. There are different things from the user side that causes the SSL connection error message. What happens when the problem is on your site-side? Have you recently activated the SSL certificate on your site, and are facing SSL error on your site? Most of the host providers have already installed SSL certificates for us because they don’t want to mess up the site by non-experienced users. This issue occurs due to the misconfiguration of the SSL. After activating SSL certificate, you have to check the settings related to SSL is correctly configured. If SSL certificate settings are wrong, you are unable to login to the WordPress admin page. Here, We will discuss all the SSL related problem and its solutions. 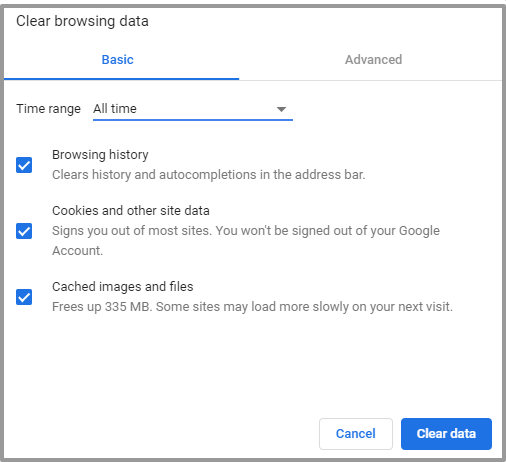 After making changes in your WordPress site, you have to check whether there are issues with your browser settings or not. Browser cache may be the reason for the SSL Error. So, use key combination ctrl+shift+del to remove the cache from your Browser and click on the Clear Data button. You should also check the date of the system might be that is the reason. 1. 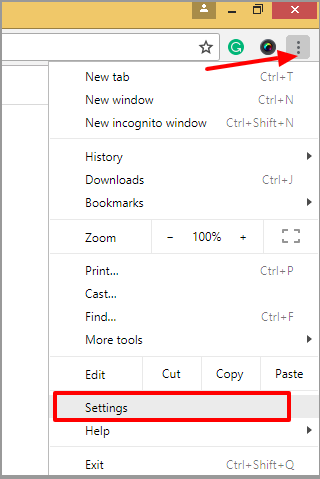 Go to Customize and control Google Chrome, just below the X ( close ) button you see three dots. 2. Click on Settings from the drop-down as shown below. 3. Open Advanced Settings option after scrolling down the page. 4. Open Proxy Settings under the System Option. 5. A window name Internet Properties will open in the popup. 6. 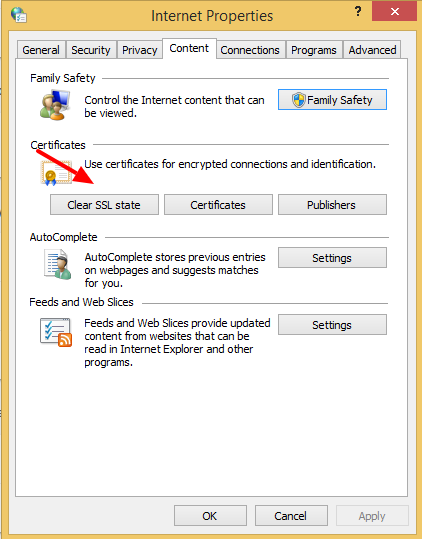 Go to the Content Window and click on the Clear SSL State. 7. After that popup will display, Click the Ok button to clear SSL state. If the issue is not solved, Following are the methods to remove the SSL error from the WordPress site. After installing the SSL certificate, update your WordPress site URL to HTTPS. 1. Firstly, Login to your WordPress Admin Area. 2. From the dashboard click on Settings >> General. 3. Change http:// to https:// in your WordPress Address(URL) and Site Address(URL). 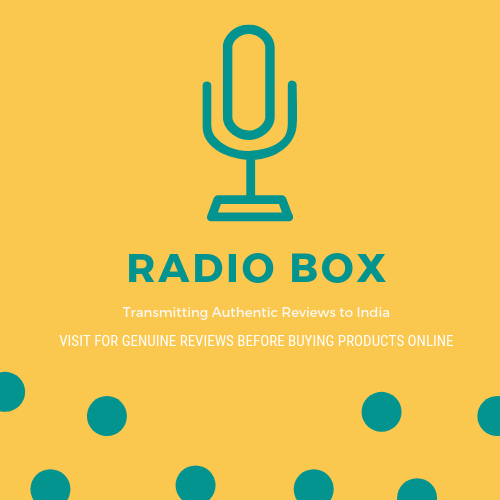 Visit your site to check the issue is solved or not. You need to check all existing URL starts with the https:// to avoid seeing err_ssl_protocol_error on your site. It can be difficult, but if you miss some URLs, you will get the mixed content warning. Save the file and check whether the issue gets solved or not. In WordPress Multisite, if you want to add HTTPS then, you need to add following code in your wp-config.php file. If above code is not available in the file then, you have to Add it to your file and Save it. If you still facing the problem on your WordPress site, you have to verify your SSL certificate is appropriately installed and configured on your site with SSL Certificate Checker Tool. Just put your URL in the Server Hostname field and click on Check SSL. If it’s not then it is time to head server-side to fix. This tool will automatically test your domain and makes you ensure that everything is installed correctly and trusted by the browser.